buckets to the freezer. 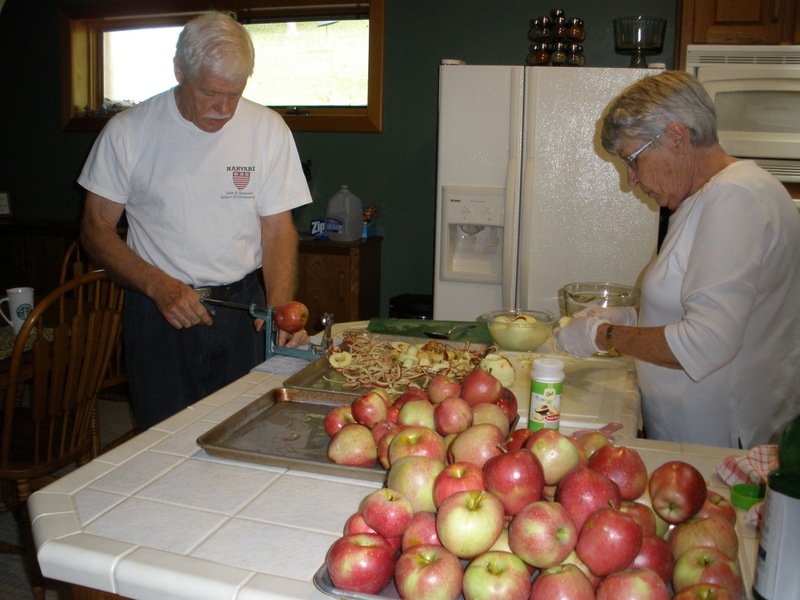 The last 12 cups ended up as an apple crisp for us and one for our neighbors, Kevin and Kathy. 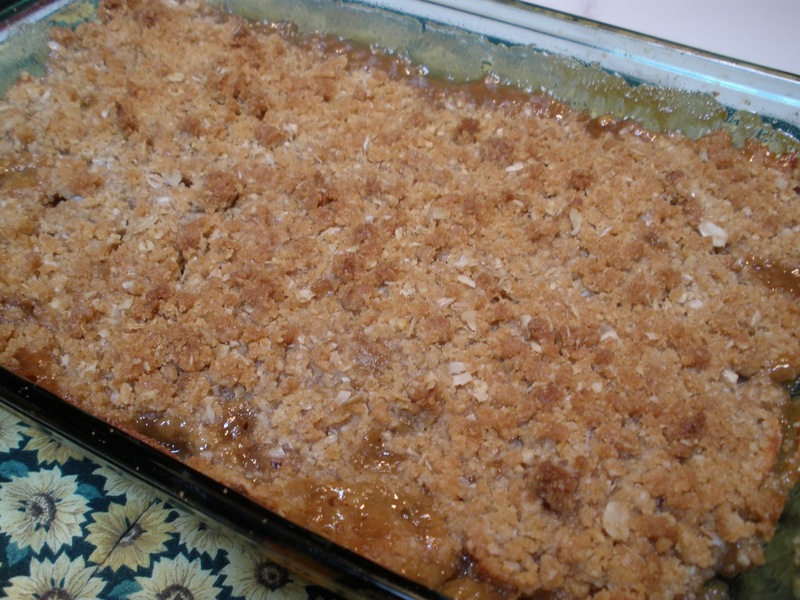 This is a basic apple crisp, but the caramel and the vanilla give it an added richness befitting the freshest of fall apples! PRINT Recipe from my Tasty Kitchen Recipe Box! Place chilled butter in a large bowl and using a pastry cutter (or a food processor), cut through the pieces. Add brown sugar, salt, flour, and oatmeal continuing to cut with blade. When mixed, cover with plastic wrap and refrigerate. Do not over-blend. A little chunky is good. Peel and core the apples and cut them in 1/8 inch thick-crescent-shaped slices. 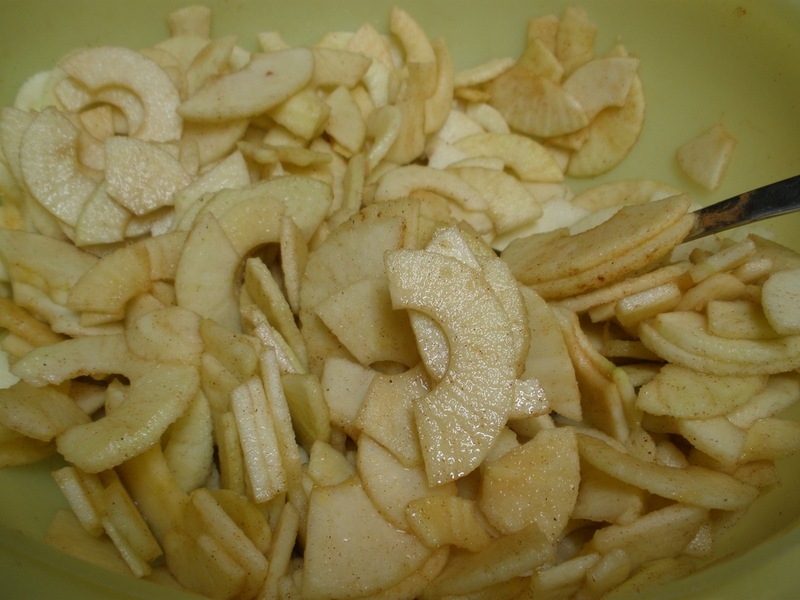 In a mixing bowl, gently toss together the apple slices, sugar, lemon juice, cinnamon, and vanilla. 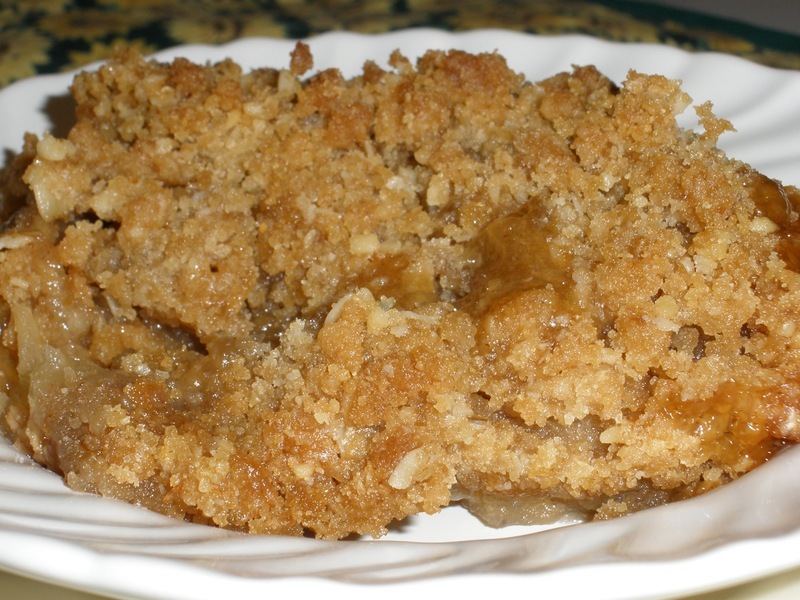 Transfer the apple mixture to a 2-quart greased glass baking dish; spread it out well, filling to all the corners. Pour caramel syrup back and forth over the apples. 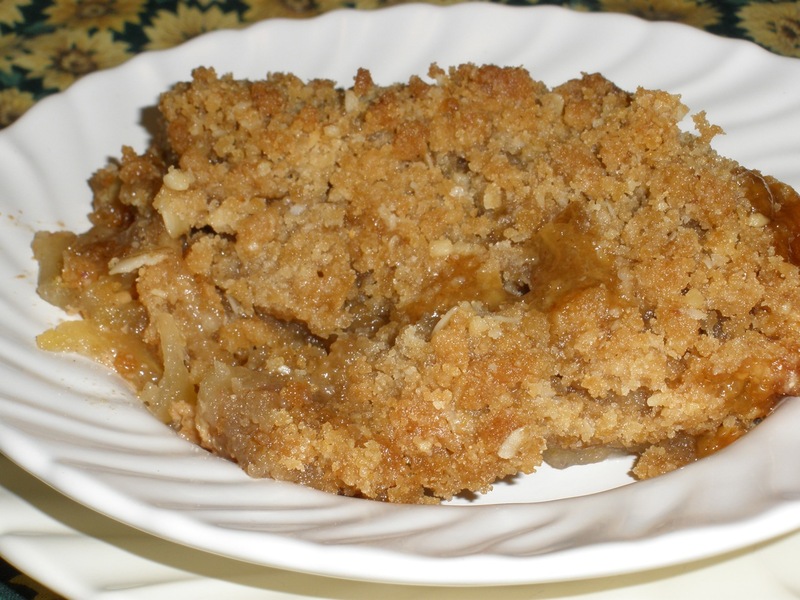 Remove the crumb mixture from the refrigerator. 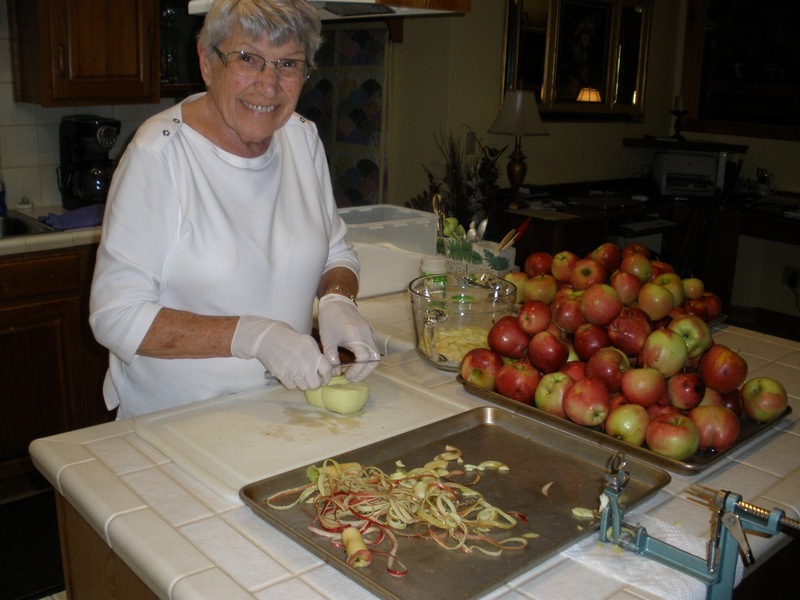 Take a handful and squeeze tightly to compress it into a solid piece; then hold the compressed topping over the baking dish and crumble it by hand into small pieces, strewing them over the apples; repeat with the remaining topping. ge, 35 to 45 minutes. Rotate the dish occasionally so the topping browns evenly and does not burn. If it appears to be browning too quickly, loosely drape it with aluminum foil. When the crisp is done, leave it at room temperature until it cools enough to cut into individual servings, about 20 minutes. Serve with your favorite ice cream or fresh whipping cream. 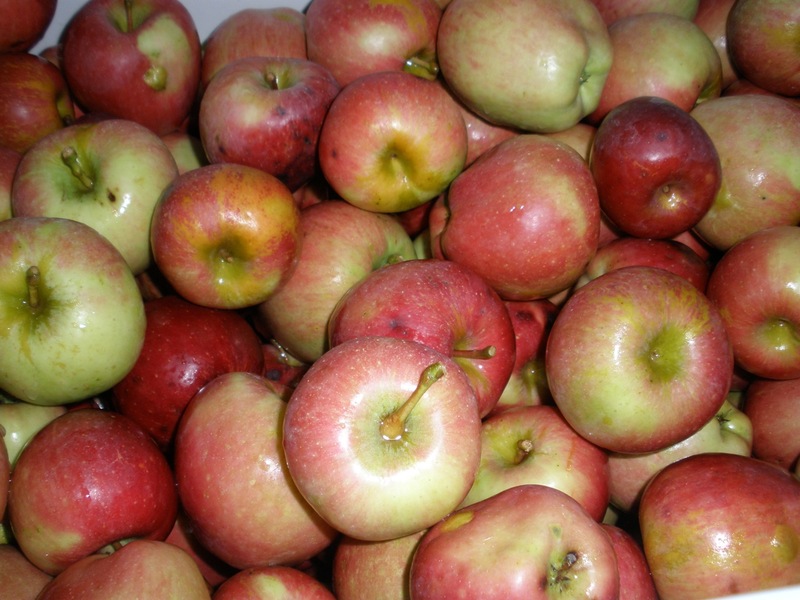 * The apples I used today are a mix of Red Delicious and Winesap. The sweetness of the Red Delicious sets off the tart and tangy Winesap perfectly. /ˈkærəmɛl/ or /ˈkɑrməl/ ) is a beige to dark-brown confection made by heating any of a variety of sugars. It is used as a flavoring in puddings and desserts, as a filling in bonbons, and as a topping for ice cream, custard and coffee. The process of caramelization consists of heating sugar slowly to around 170 °C (340 °F). As the sugar heats, the molecules break down and re-form into compounds with a characteristic color and flavor. A variety of candies, confections, and desserts are made with caramel: caramel apples, pralines, nougats, brittles, crème caramel, and crème brûlée.